One of the nation's most enduring stories of loss during World War Two came to an end on August 4th 2011. Myrtle Salau the last surviving member of the Hutchins family was aged 92 when she passed away peacefully at the Jacaranda Lodge at Nyah. One of 14 children born between 1908 - 1924, including 2 sets of twins. 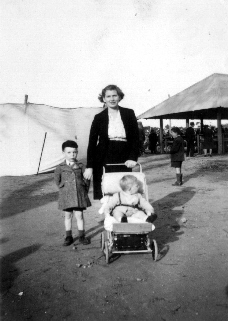 Myrtle was born on the 7th of November 1918, and was lucky to have lived after almost drowning as a child. 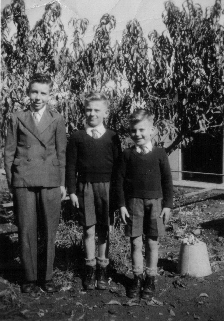 The family grew up at Woorinen, and were toughened by the drought and depression of those early year. 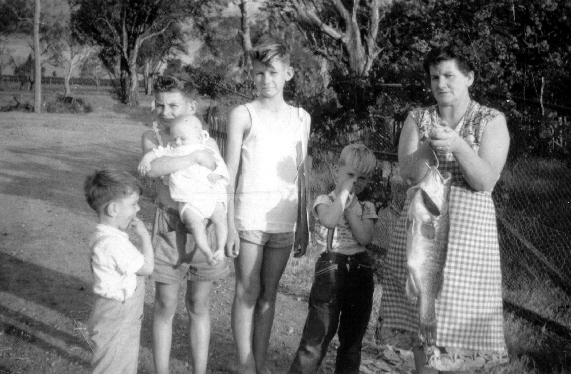 Myrtle would work on the family fruit block picking grapes and pruning fruit trees with her brothers and sister. In the evenings they would play games, like hide the thimble, and end the day with a family sing along. 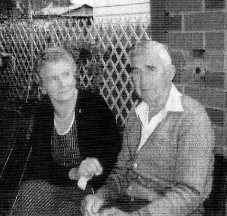 On June 25th 1938, Myrtle married the love of her life - Claude Salau and moved into Swan Hill. In 1941, Claude joined the Air Force and was sent to New Guinea over a 4 year period before returning home safely. 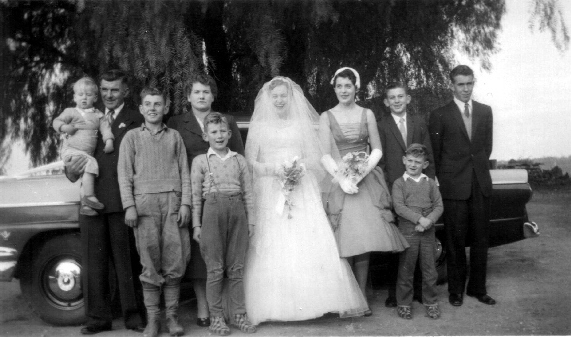 They moved to a dairy farm in Tyntynder, before returning to Swan Hill. 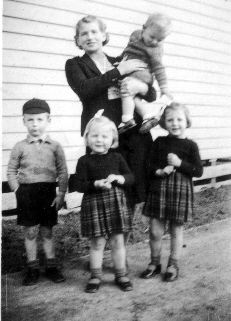 Seven of Myrtle's brothers enlisted with the AIF and served between 1940-1945, and tragically by the end of the war she had lost four of them. This took a huge personal toll on Myrtle and the rest of the family. 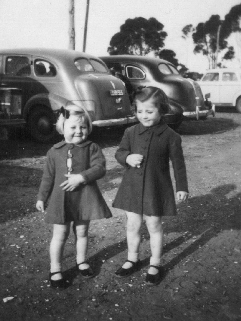 Myrtle and Claude went on to raise nine children - 7 boys - Graham (dec), Russell, David, Neville, Mick, Greg and Paul and 2 girls - Louise and Elaine - which Myrtle adored. 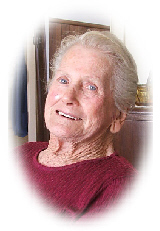 Myrtle was a wonderful homemaker - cooking, cleaning, ironing and doing other home duties. She also cleaned for the local technical school - to make ends meet. Her door was always open.... for a cuppa or a chat, and you would always be made welcome. In 1988, at age 74yrs, sadly Claude passed away. 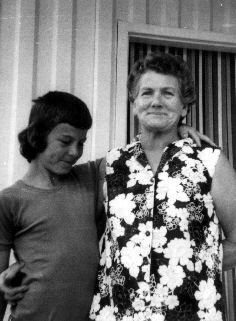 Her son Mick moved home to live with her and has done a wonderful job of looking after his mum throughout the years. In later years, Myrtle enjoyed her music (including a trip to Tamworth), and doted on her grandchildren and great grandchildren. 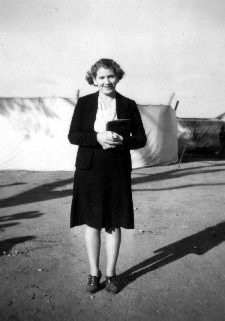 Myrtle always idolized her brothers, and in 2007, Myrtle was very proud to see that her brother’s story had been finally told, and that a memorial had been erected in Swan Hill to honour their sacrifice. Myrtle was a very down to earth person who would always say "take me as you find me love". 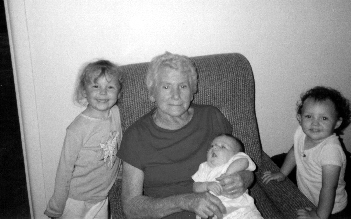 She was a wonderful lady with a heart of gold, and if you were fortunate enough to have met her, your life would be better for it.